Are you thinking about where to go on your next family vacation? Here’s how you and the kids will have the time of your lives during your visit to Sandos Caracol. When planning a family trip, it’s important to consider the children’s needs, for them to feel comfortable, and to have different ways of having fun, but it’s equally important to visit a place that also lets adults enjoy their free-time to the fullest. Traveling as a family brings many benefits, from tightening the bond between the “tribe” members to improving communication (remember that time you had to return to the room because you forgot something? ), not to mention the unique memories that will last for a long time, like the time you walked to the restaurant and a monkey stole Dad’s cap! The best thing about traveling to Sandos is that the experience starts even before arriving to the hotel. Did you know that you can use any extra space in your suitcases to bring donations to local communities in need? What better way to promote values and awareness in children than by showing solidarity with those who need it? 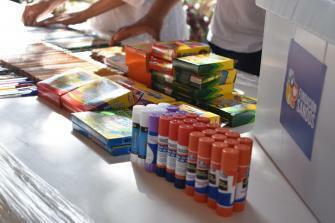 If you want to know more about Pack for a Purpose, click here. Pack for a Purpose is a program to generate, little by little, a positive change in the local communities near the hotel’s locations. Values can be encouraged throughout your family vacation in the Riviera Maya, where children can feed the Mini Farm animals that were rescued from unfavorable conditions and today are living a full life inside of the resort; plant a tree and leave its positive mark on the hotel; or become a lifesaver with Animal Heroes, a non-profit association with which we collaborate to train heroes to save animals. Within Sandos Caracol, the All-Nature Experience is a favorite attraction for families who love all the wonders of nature. 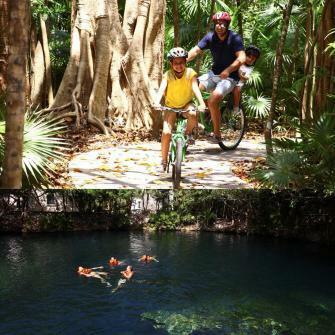 With this activities program, the family can enjoy experiences such as snorkeling in the main cenote, swimming along the Jade River, participating in an eco tour, and even trying our morning yoga sessions. During your stay, you will have unique opportunities for an unforgettable vacation at the best family resort…we are not kidding! From traversing our mangrove and junglepathswith different types of birds, iguanas, and monkeys swinging from tree to tree,to discovering ancient Maya culture… staying at Sandos Caracol is quite an experience. Plus, we offer rooms inspired by nature, perfect for families that seek comfort as well as convenience. 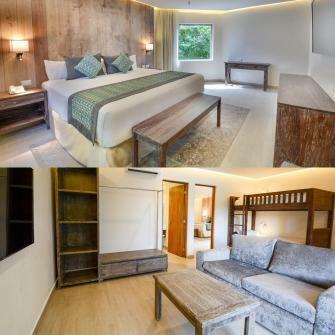 The Eco Family Penthouse, for example, has a fully-equipped master bedroom, plus a separate kids’ room with a bunk bed for three, its own television and a full extra bathroom. For added comfort, it includes room service and WiFi so you won’t have to worry about a thing. 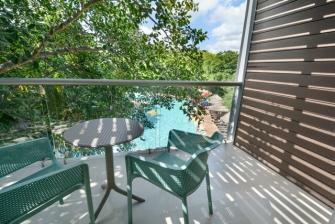 The Eco Family Penthouse is our newest addition! These rooms are also close to our colorful water park, whose 29 slides will fill all family members with adrenaline, from super-fast kamikazes to slides for the little ones, so everyone can have a good time. We recommend the bucket for young children, the tornado forthe bravest souls, and the aquatube for adults! 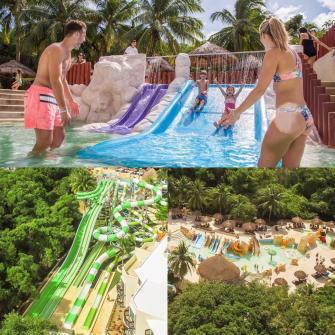 Click here to see the Top 5 of the best water slides at Sandos Caracol and choose your favorite! The Aqua Park is one of the main attractions at the resort. If you’re looking for something less extreme but just as fun, the newly renovated main pool is perfect for a family day where, in addition to having aqua-fun, you can take advantage of the Sirena Bar and drink your favorite cocktail, or even eat something from our poolside cookouts known as “Caribbean Highlights”. On the other hand, if you’re looking to create romantic memories with that special someone, like a relaxing massage at the spa, a facial treatment, or even a revitalizing body wrap, don’t worry! Children can stay in the Kids Club with plenty of activities like mini-Olympics, board games and even crafts, all designed around the natural element tribute of the day. This space is designed so that kids can have a day that’s not only fun, but full of learning. The activities are fully supervised, and kids can learn about local ecosystems, create works of art, have yoga classes, and even dance. 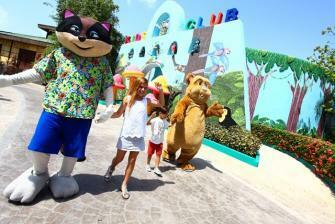 The Kids Club welcomes children from 4 to 12 years old. When visiting the Caribbean, there’s one natural wonder that every family member has to see, and that is the beach! 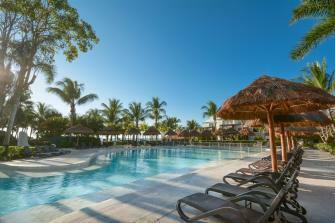 Because the best all inclusive family resort cannot be complete without a day of sand, sea and sun. The turquoise color of the Caribbean Sea is due to its cleanliness and depth. 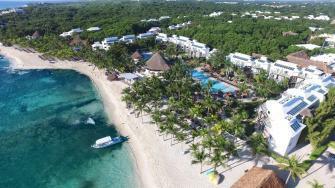 The beach at Sandos Caracol is one-of-a-kind: bright white sand that merges with the turquoise waters of the Caribbean Sea, where natural reefs give shelter and protect many organisms, especially fish. That’s why we recommend you bring your goggles! 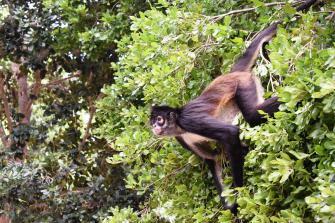 Children love discovering their surroundings, so this experience is especially interesting for the little ones. Our guests can enjoy comfortable lounge chairs, waiter service, and a lot of activities and beach games organized by our Entertainment Team, whowill make your stay at the beach an unforgettable one. 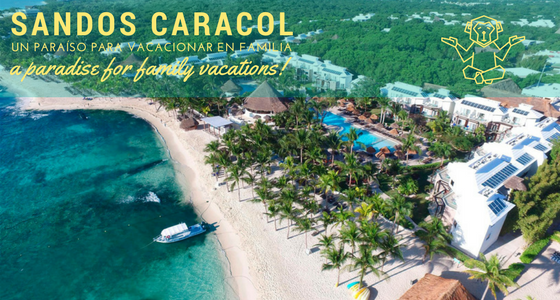 If you’re looking for an all inclusive family vacation in Mexico, you can see that Sandos Caracol has options for all ages and all tastes, both for adrenaline-lovers and for those who seek to live in harmony with nature.